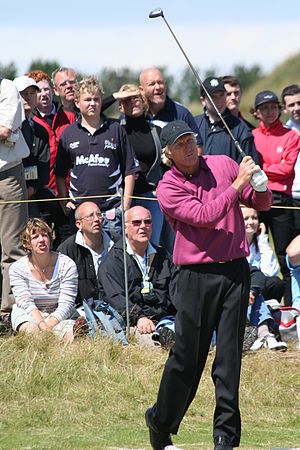 On a golf course in California, Greg Norman, popularly called ‘The Shark’, was dropped presumably from the sky, on a golf course. He was still breathing and very much alive and it was thought that a bird must have picked him up while swimming and dropped him on the course, close to the 18th hole. Hold on…one sec…My more-informed wife is just telling me that I am reporting erroneously. Greg, she says, had nothing to do with this story. She said that I should go back and read it again. Gimme a minute, I’ll be right back. Aha! I got it. An actual shark was dropped on a golf course! OMG! Look up it’s a bird, no, it’s a sha….Ouch!! You could never be too safe on those golf courses eh? So the story is that a bird, (well I did get that part right) was the culprit or shark thief in this case of whodunnit. Now I am thinking, if a bird could grab a shark from the sea and drop it on land, we have a much bigger (no pun) issue than a live shark on a golf course. Was it a pre-historic type bird? Maybe a phoenix? Well thank goodness it wasn’t Greg Norman, The Shark.